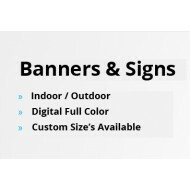 Vinyl banners are the most affordable way to create a sign that features vibrant, eye-catching colors to target your audience. You can pick from many of sizes or request a custom size. Looking for a portable and powerful product at a very affordable price? 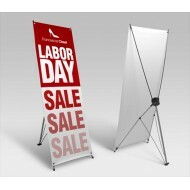 • H-banner stands have a sturdy base and frame, with several inches of floor clearance. 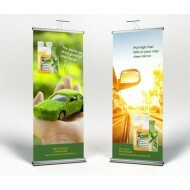 • L-banner stands feature an adjustable spring-rod frame. They’re very easy to pack and transport. 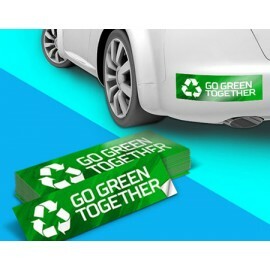 • X-banner stands are for banners with grommets. They’re lightweight and set up in seconds flat. X Banner StandsAffordable & easy, our X Banner Stands are perfect for your next event.Lightweight design for easy transport & quick assemblySize – (Medium) 63" x 24" & (Large) 78" x 48"Bundle with a banner & saveOur X Banner..